Microsoft has decided to end support for Minecraft on Apple TV. The app arrived on the device about two years ago and cost £20 in the UK. In an onscreen message to all the players, the firm said that is was "reallocating resources" to more popular-platforms, and while the game would still work on the device, it would refund purchases made within the last 90 days. New copies of the game can no longer be purchased from the set-top box's app store. 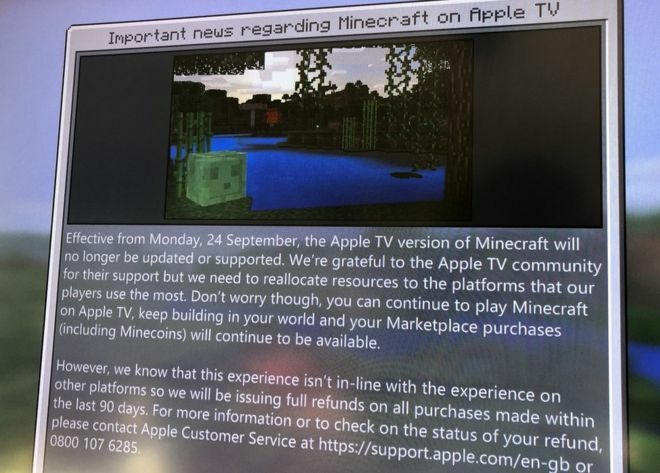 An Apple fan, Nathan Burlton, tweeted a picture of the message from Minecraft when his 10-year-old son tried to load the game on his Apple TV over the weekend. "He doesn't play on it very often," he said. "Occasionally when friends are around we would use it on the Apple TV with someone playing on the TV and a few others on iPads. It was useful in that regard." The family prefer to play Minecraft on tablets, he added. However, the set-top boxes have struggled to attract mass audiences to their games offerings, despite many games being made available on devices such as the Apple TV, Amazon's Firestick and Google's Android TV. 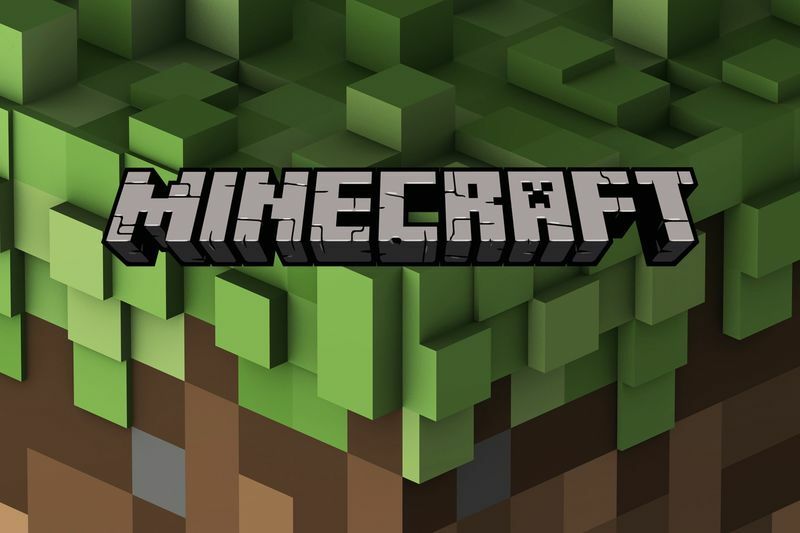 Analyst Ed Barton, from Ovum, told BBC that Apple TV was unlikely to be a big platform for it, he also commented on the decision about Minecraft.